Happy to report we made it out of our super tight and steep LA parking spot and made our way to Northern California. Talk about a beautiful drive! Even though weâ€™ve been through California multiple times with our tiny home on wheels, we never drove on this stretch road, in the far northern part of the state. First we stayed in a field in Santa Rosa, where we visited dear tiny house friends and new couple, Andy and Hilarie. Respectively, The Whittle Wagon and Tiny Hell on Wheels on the social medias. They have a fun whirlwind love story. After just a few months of dating, they have taken a road trip together, lived tiny together and completed home repairs. If one couple can make it through all of that, while remaining madly in love, then they must be meant to be. We met them individually over the last few years of travel. For Andy it was in Texas in 2016, when he lived in his first tiny house, a DIY 24â€™ gooseneck. A year later in an effort to be even more nimble on the road, he built a micro tiny home on wheels, only 14â€™ long. Admittedly Andy has become a build addict. Six months later, after selling both tinies, we met him in Colorado. He just finished a shuttle bus conversion. We met Hilarie in New Jersey just as she was finishing her DIY 20â€™ tiny house. She was preparing for her first road trip with her mini-pig, Crusher. Since then Hilarie and Crusher have traveled all over the country for tiny house festivals and meetups with friends. Hilarie and Andy are incredibly resourceful and creative. Their zest for life is infectious, and together they make one incredible couple. Tiny house love stories do exist! 2018 is going to be hard to beat but Andrew and I are ready for all the unknown challenges and adventures 2019 has to throw at us! While in Sonoma County, we met up with Jay Shafer, the godfather of the modern tiny house movement. 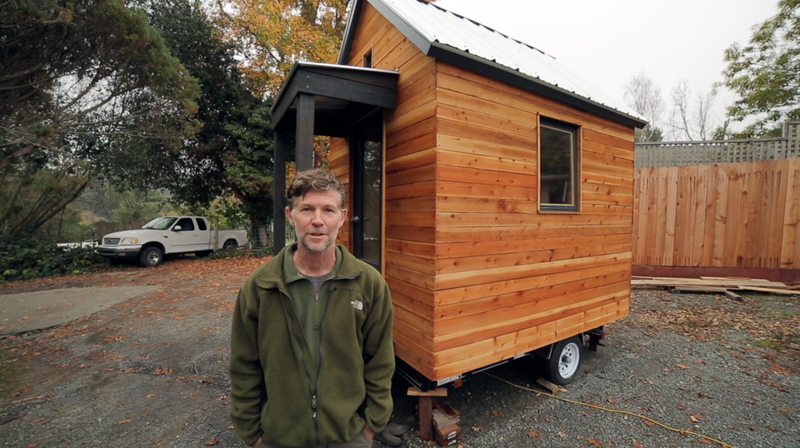 He showed us his new micro tiny house on wheelsâ€”total cost is under $5k! Itâ€™s efficiently built with minimal use of materials, while maintaining beauty and functionality. A full tiny house tour is coming soon. Subscribe to our YouTube channel (and hit the bell!) to get notifications about new videos. During our stay, we were also very fortunate to catch a tiny house advocate training workshop. It was led by powerhouse advocate Dan Fitzpatrick, the architect of the Fresno THOW zoning ordinance. To learn more about that, watch our documentary, Living Tiny Legally Part 1. This workshop is part of a new series by the American Tiny House Association (ATHA) to help further local legalize tiny efforts. Local is where change happens. A little support from those whoâ€™ve been successful elsewhere, can really elevate your advocacy efforts. We highly recommend you join ATHA, to gain access to these great resources, and to contribute to a good cause that can help forward legal placement of tiny houses across the nation. 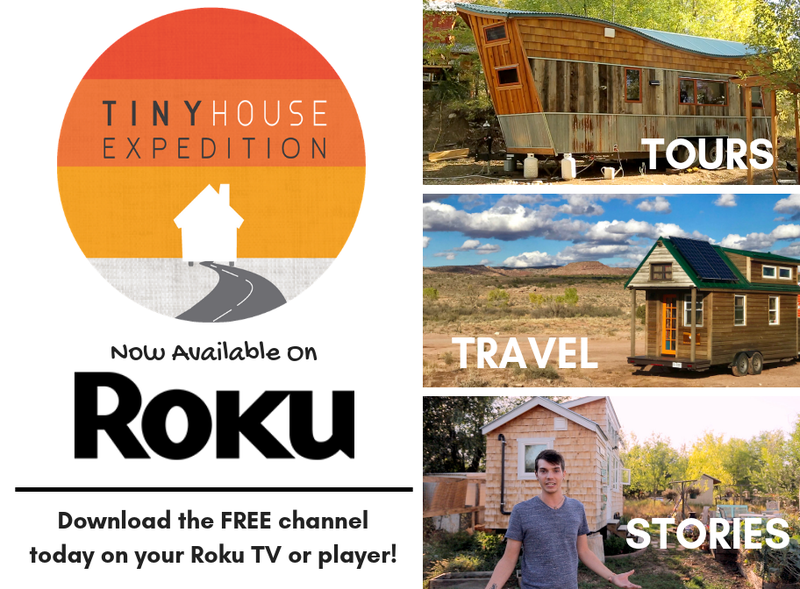 Join us Thursdays on YouTube for new episodes of Today's Tiny House Parking Spot, tiny home tours, how-toâ€™s and more! After leaving Santa Rosa, we made our way to far northern California. It was one of the most breathtaking drives weâ€™ve ever been on. At one point we were surrounded by mountains. We stopped in the town of Weed to fill-up at the most beautiful gas station. Well, the station itself was pretty standard but the view of Mount Shasta was incredible. A little further up I-5, we found parking at the Rain Rock Casino in Yreka. The unofficial capital of the state of Jefferson. Have you ever heard of that? Definitely worth a Google. The casino offers free boondocking for RVers and truckers, up to two nights. And they have FREE WiFi. Watch the above episode of Todayâ€™s Tiny House Parking Spot for a look at our tiny home life, from taking naps at rest stops to everyday work-at-home tasks. Even while parked a casino, our daily activities continue. I have to say the casino security officers were super friendly and made us feel at extra ease. Our journey to Bend, Oregon began after waiting for the parking lot to thaw out. Our first winter weather of the year! Refreshing but creates potential hazards on the road. Our tip: never rush. If it takes longer than planned to get to your next destination, so be it. Safety is everything, and a slower, non-rushed pace gives you the ability to make impromptu pit stops, like admiring magnificent Mount Shasta from the side of the road.